The first meditation class I went to was 1985, I remember appreciating the stillness, calm and that irritations of life didn’t seem to have the same antagonism. I went to a Samatha Buddhist retreat. There I remember meeting strangers in silent practice and how clarifying it was to meet people without speaking! In the late 90’s I went to the Buddhist centre in London to practice Zen. I went with a friend and we would discuss over a drink afterwards. Although I find Buddhist ideas so helpful I have kept a fundamentally secular attitude. I have worked in mental health for over 30years now so have always been paying attention to and invested in how these principles from spiritual traditions may help more widely with mental wellbeing. I tried Tai chi several times, I tried, Tibetan, Theravadan practices. There were all sorts of things that got in the way of these practices which I knew were good for me but somehow weren’t sitting in the routine of my life. I told myself all sorts of negative things because of this, that I was lazy, lacked willpower, didn’t care enough. This taught me compassion is an essential accompaniment to this practice. 2009 I started working with the IAPT service in Reading who were offering mindfulness as it was evidenced to help prevent relapse in recurrent depression. I wanted to help, I wanted to teach, I wanted to confront my fluctuations with practice, both to my benefit and to be more helpful to others who might experience similar. Mindfulness is to my thinking a process of learning. ’Letting go’, ‘opening up’, what does that even mean and how do you let go of a thought, what does it matter? By repeating practices and repeating the same course time and time again these concepts began to make sense. A little like learning to drive, practices were initially clunky and awkward, then over time becoming more intuitive. What helped me was understanding what was happening from a neuroscientific perspective. Learning also about compassion focussed therapy. The rational understanding of neurobiological process helps understand that all our minds are flawed, subject to miscommunication, mislabelling, misinterpretation and it is not our fault. That’s really levelling and for me helps to challenge negative self judging. I learned mindfulness teaching from Cindy Cooper in 2012, an amazing woman who sadly recently passed away due to cancer. She was very actively involved in the ongoing research on mindfulness at Bangor University, as is my current clinical supervisor. Cindy embodied compassion and integrity with a sense of humour. I try to keep these values core to my sessions. 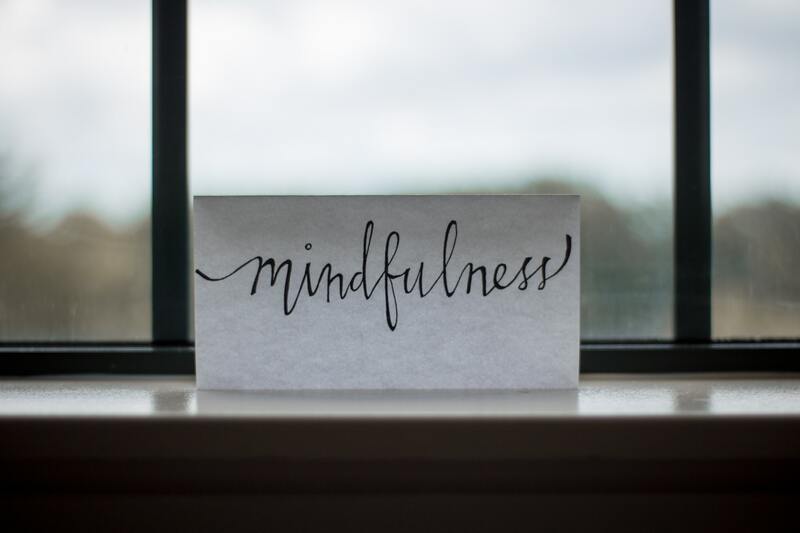 I teach because mindfulness opens up new ways of living, of doing things for so many people looking for difference and finding it so hard to access that in our busy, often stressful world. The eight week course gives experience of some of the fundamental tools of mindfulness and compassion which set up different possibilities for after the eight weeks. I love working with people on the course, I like to offer information that may be personally helpful to individuals. It may be a cliché but I learn a lot from each group too and am seriously grateful for that.